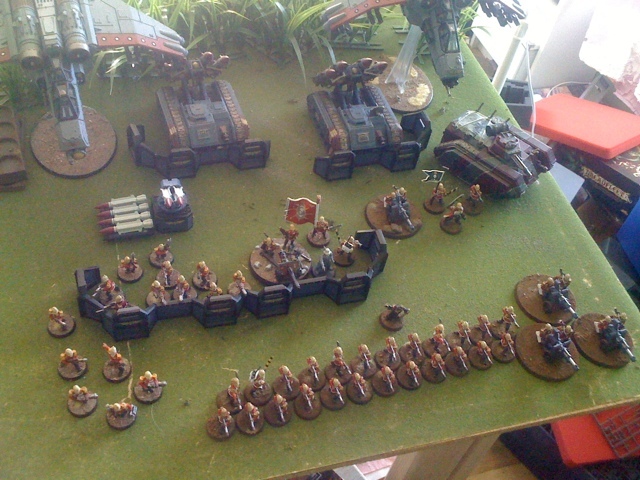 The 23rd Praetorian Imperial Guard: 1250pt CoC 2013! First Tournament of the year. The beginnings of the 23rds new commanding officer! After the dramatic downfall and subsequent purge by the inquisition the 23rd Praetorian Guard was qued up to be raised as a new regiment. 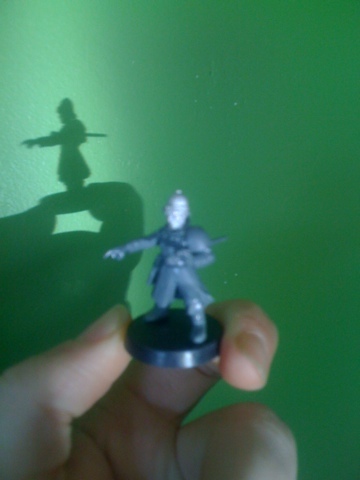 Chosen to lead this newly reformed regiment is this blurry officer! who hopefully will have a full paintjob and sculpted eppaulettes by next week. Just in time to lead me to victory at the Contest of Champions 1250 point tournament! HQ: Company Command Squad with Regimental standard, Vox caster, Las-cannon, and Chimera. Troop: Infantry Platoon consisting of three squads with auto-cannons, 1 vox caster and 1 commissar and a special weapons squad with 2 flamers and a demo charge. the vets and sws go into the vendettas and go hunting while the platoon holds objectives or mans the wall. All this under the careful precision (couldn't type that without laughing) of the artillary companies support! That's a full on list! I think I'll be taking a leaf out of your book and running a list like that! Also that these song- funny as!